Comment: We have a condo that operates on a two pipe heating/cooling system. There are three fans throughout the condo that need to be serviced as they are all producing different temperatures of air, and two are making excessive noise. Comment: We had someone come in to install our first floor bathroom fan, but they did not install the exhaust out to the the outdoors. We are looking for someone who can install this ductwork. The fan is on the first floor of a two-story house. Comment: We recently moved into a 2-story single-family home that has a house fan (in the attic) that doesn't function. We have been told that the motor is shot. We would love to know how much it would cost to get the fan up and running this spring. Comment: I have a whole house fan in the attic. And the motor is dead. That we would like to have repaired. To use by Spring time. Comment: need someone to put in my ceiling fan. preferably before Friday in the evening. Comment: First floor bathroom, no existing fan. I'd like to install a fan. light combo in place of the existing light. I have someone starting tile work in the bathroom this Thursday so if it's possible before then that would be ideal. American Vintage Home Heating and Air Conditioning, Inc.
Chicago Fan Services & Companies are rated 4.75 out of 5 based on 2,135 reviews of 66 pros. 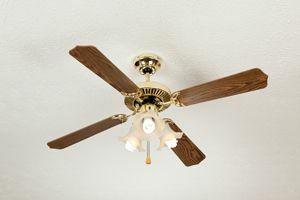 Not Looking for Fans Contractors in Chicago, IL?